Believe it or not, smartphones have only been around for a little more than a decade and yet there exists numerous myths concerning them. Granted, every piece of technology have some sort of myth, some incorrect belief that millions of people ascribe to. Smartphones are not immune and there exists a number of myths that we wish to debunk if only to ensure you don’t lose your mind or keep doing things out of ignorance. 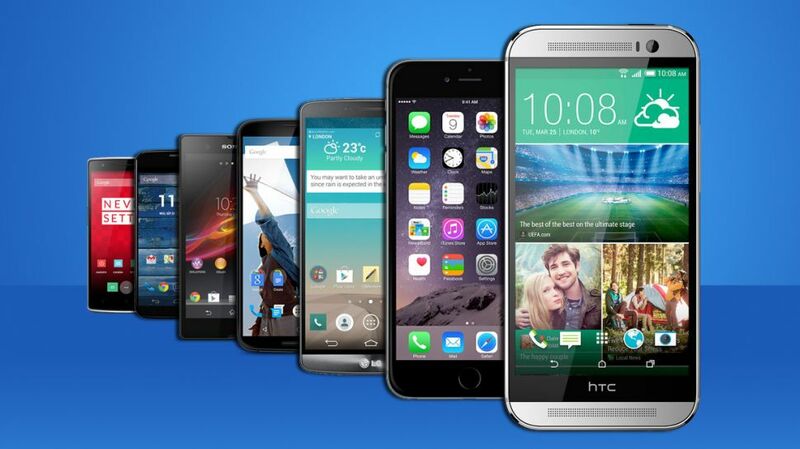 Here are some of the myths synonymous with smartphones. The truth of the matter is that scores of individuals don’t necessarily wait for their batteries to completely drain before recharging. However, there are a good number out there that hesitate to top up charge especially if their phones are 70 or 80% because of the belief that their smartphone batteries have a memory effect. Basically, old batteries did not have the ability to tell when they are full and hence most likely overheated or exploded. However, this is not the case with new modern lithium ion batteries that do not have a memory effect. You therefore can charge it any time, day or night without having to worry that some sort of harm will come to it. Well, this could be regarded as a marketing ploy by mobile phone manufacturers to lock in sales from sale of chargers. However, this is a fallacy, an incorrect argument by all means. The truth is that smartphone mobile chargers are standardized and therefore any USB charger that can provide sufficient power can be used to charge your phone. You don’t necessarily need to use the charger that came with the phone! A screen protector refers to a thin plastic placed over on top of your smartphone screen to protect it against scratches. If your screen is scratched, it is the thin sheet of plastic that is scratched and not the screen of your phone. After all, replacing a plastic protector is much cheaper than replacing your phone screen. This was once the case but technology has made the idea obsolete. Nowadays, smartphone screens make use of Gorilla glass and other similar technologies that make them scratch resistant. We tend to look at our smartphones as mini computers and therefore falsely believe that the way apps function in a PC is the same way apps function in a smartphone. However, there is a slight difference. The reality is that apps in IOS do not open the same way it does on a PC. When you leave an app on your smartphone open, it becomes frozen or rather idle and therefore does not use any energy of sorts. The idea therefore that open apps consume battery energy is fallacious. It’s imperative to note that unless you are a terrorist, a fugitive from law or engaged in some illegal activities, law enforcers have no interest in tracking you. That aside, the idea that if you turn off your phone, remove SIM card and put it on airplane mode then you can’t be tracked is fallacious. For one, if you put your phone on airplane mode, all it does is turn off your WIFI. It’s like a “do not disturb me” sign and people cannot reach you on phone and neither can you browse online. However, this does not keep you from being tracked. On the other hand, powering off your phone or removing the battery might indeed keep you from being tracked. However, if your phone is infected with certain types of malware, switching it off might not keep you from being tracked.